Achieving a balance between estimated sales and actual sales is one of the biggest challenges faced by retailers. Getting it right will generate more profit, while getting it wrong can drive any business to the edge. 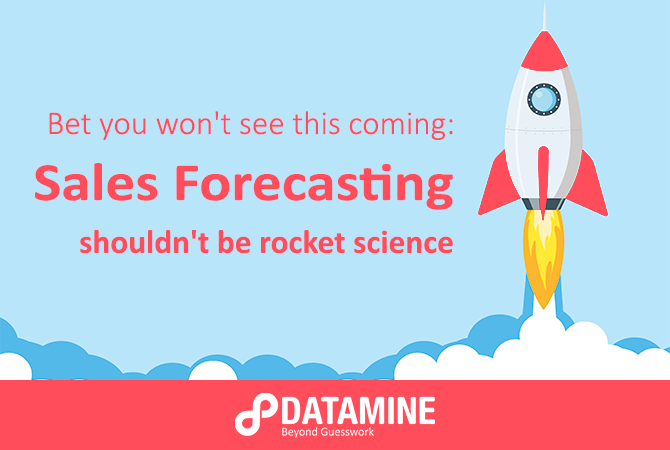 Of course, making a perfect prediction of sales volumes is virtually impossible, especially without a proper forecasting application - but luckily, you can gain a clearer picture of how much stock you’ll need if you have a better understanding of the factors that influence demand. Though it doesn't provide a future forecast, this simple Excel tool is designed to take your data and create charts and tables showing how different variables have historically impacted your sales and/or changed over time. You can then use this analysis to gain insight into past trends and understand how sales may vary in the future, allowing you to anticipate future demand and maximise ROI. Once you’ve opened the spreadsheet, you’ll automatically be directed to the control page - you'll need to choose ‘Trust this macro’. Next, you'll need to delete the rows of sample data and paste your own data into the spreadsheet, only keeping the columns (variables) that you want taken into consideration in the calculations. Note that you may use different headings/data to those in the sample data (e.g. store region, salesperson, etc) and you may include as many or as few columns/rows as your data requires. In order to create charts in the spreadsheet, you’ll need to delineate a Y variable and a number of X variables. The Y variable is the one column of data you want to analyse in relation to the X variables. What you choose it to be will depend on the information you want to get out of the tool, but in many cases this will either be the units sold or sales in dollars. Type in your Y variable where it says ‘Y-variable name’ (see the red box below), making sure it matches the relevant column heading. The X variables will be things like date, day of week, size, season, store location etc. – whatever factors you think might have historically impacted your Y variable (e.g. if you wanted to know the average number of bagels sold at your central store location, the Y variable would be bagels sold and the X variable would be store location). The headings for each of your other columns will be the X variables for your charts (see the blue box below). Once your data has been pasted into the spreadsheet with the correct Y and X variables, choose whether you want to summarise the data by total sum or by average. E.g. for each salesperson, what is the total number of units sold? E.g. for each salesperson, what is the average dollar value of each sale made? After choosing whether you want to know the sum or the average of your data, click ‘Create Charts’. You can later return and click ‘Clear Charts’ if you wish to input different data. Where do I see charts and tables? To use externally, simple copy/paste the chart or the table to the final location. Can I specify a data range? Yes – the simplest way to achieve this is to copy only the data from the relevant date range into the control sheet. Alternatively, this can be done using the pivot table or pivot chart controls (recommended for advanced users). What is the data limit? There is no limit on rows of data that can be processed by this tool – however, keep in mind that the larger your dataset is, the less digestible the charts/table will be. For example, here is a chart with ~150 distinct dates, versus one with ~25 date values. If you have any questions about the tool or run into any issues, please contact us using the form below.